If the past two months is any indication, it may be safe to say that Provo is undergoing an artistic renaissance. Like Salt Lake City and major communities across the country, Provo holds a monthly Gallery Stroll, an event that helps galvanize participation in the arts from that community and gauges its interest in the arts. 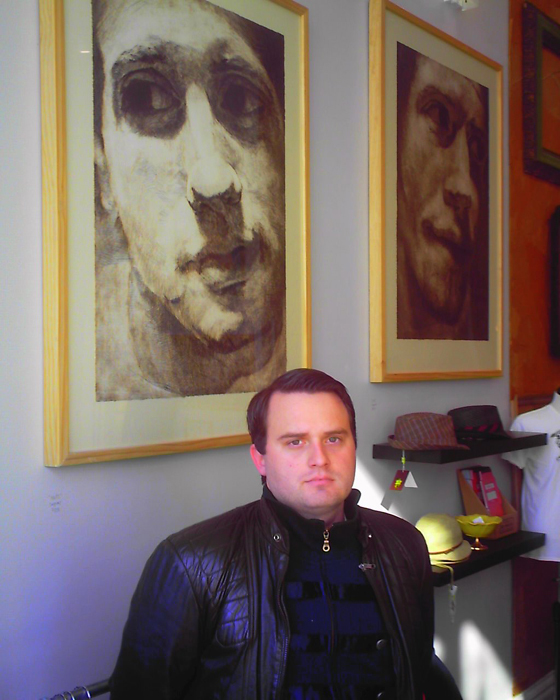 For much of 2007, despite major initiatives by the Downtown Business Alliance which sponsors it, Downtown Provo Gallery Stroll has seemed to be on a decline, with lackluster attendance and empty gallery spaces. Since the appointments of Ryan and Rebecca Neely as the new directors of the Stroll at the end of 2007, things seem to be changing. The couple owns Mode Boutique, located on University Avenue, just around the corner from Center Street. Part of their vision of reinvigorating the Stroll is bridging the gap between high end galleries and businesses, such as Mode Boutique, that display contemporary art on a monthly revolving basis. Based on the success of the past two Strolls, the Neelys’ energy and vision may be fueling an optimistic turn in the direction of the Stroll. Is Provo experiencing a state of flux that might result in a renaissance for the arts in central Provo? While including established traditional art venues with an invigorating new art atmosphere, is there a community and business base able to maintain this momentum? Ryan Neely says an emphatic yes! Ehren Clark: Why have you been appointed as the new Director of the Provo Gallery Stroll and why do we need a new Director? Ryan Neely: There have been internal struggles within the city and trying to find a new identity and they realized the importance of a historic Downtown and artistic culture and did not know how to go about promoting it. 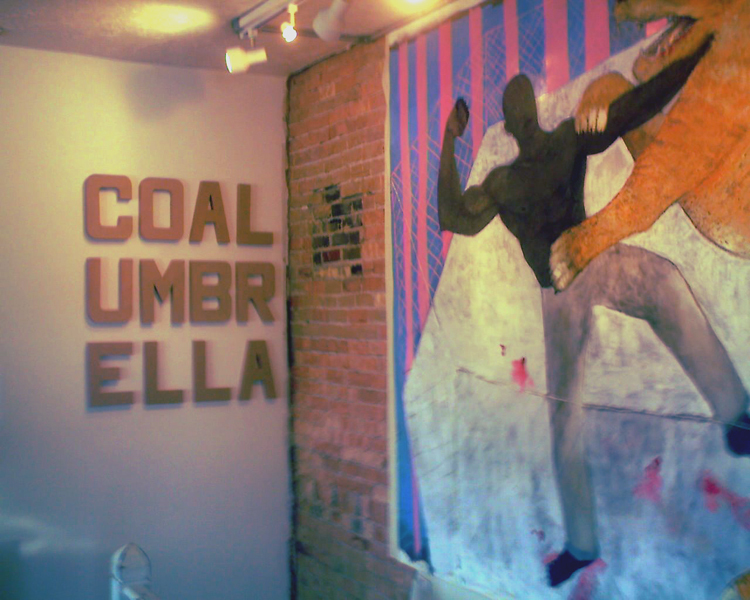 EC: It seems in the past the visitors in the Gallery Stroll were marginalized between upscale clientele for galleries such as the Coleman Studios or young enthusiasts centered around Gallery OneTen, the only gallery to offer a revolving exhibit each month. How do you plan on bridging the gap? RN: As the Gallery Stroll director I want to include everybody. New venues, new businesses contributing every month with fresh exciting artists, venues actually open every day with new shows opening, that’s what it takes to have people come out. People might not be exposed to art and this is a chance to see fresh new art. EC: How viable is this? RN: I think this is already happening. So far December was the kickoff of new venues including Mode Boutique, Cole Umbrella, Maestros as well as Metropolitan Salon. All of these had new shows, great shows with very established artists and we have had a tremendous turnout. 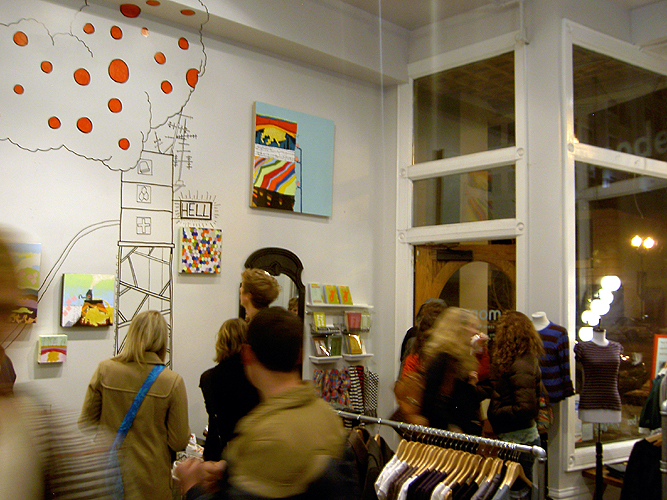 One aspect of the Salt Lake Gallery Stroll is that they have businesses, not just galleries, that show art; everybody is participating, everybody is open. We are getting venues that are very conducive to an artistic atmosphere. EC: It seems as if community word of mouth and involvement is essential in getting the public motivated. So it becomes more of a network once you establish the interconnection. RN: December was the real turnout and I can’t imagine greater success. There were families, people of all different ages with artists of all different ages. So that had a lot to do with it. People develop alliances. EC: I appreciate the communal aspect of the Stroll. How do you feel you can motivate and encourage the community as the Director? 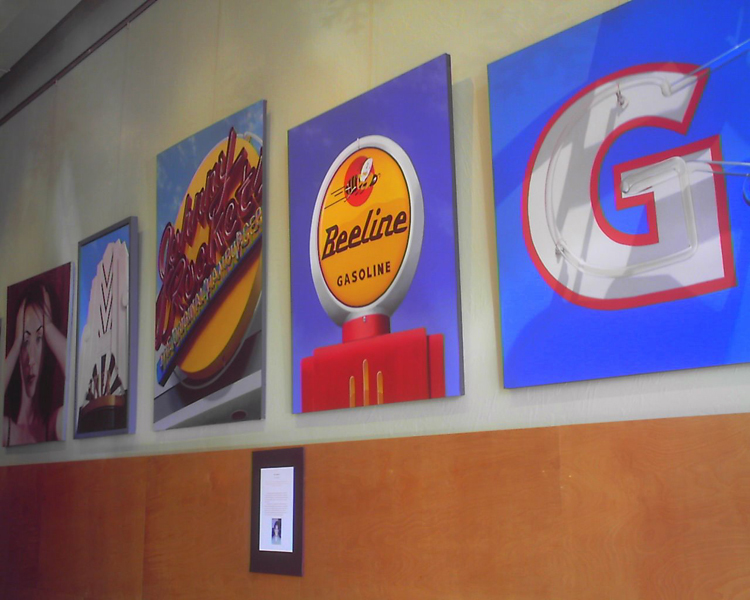 RN: The Gallery Stroll is really going to be a showcase for local talent and as such, as with the thriving music scene, which has many venues and people who want to come out and play, if we give more exposure to these artists, more venues to show at, this will create more excitement, make artists more prolific and create more art. EC: Do you see a real potential for an exciting event, something to compete with Salt Lake, as Provo tends to receive far less esteem. Do we have this here? RN: Absolutely. We are selling. I think we sold a good amount. We are not galleries but we are selling well which is good for these artists to know their art will sell. Not a bad gig! We are creating interest and we are going to see “real galleries.” We are creating a demand. 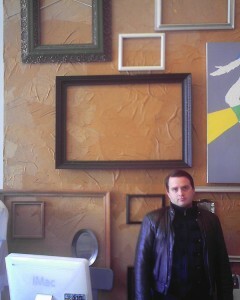 There is an upscale element to Provo now and we have the clientele looking for more original art. 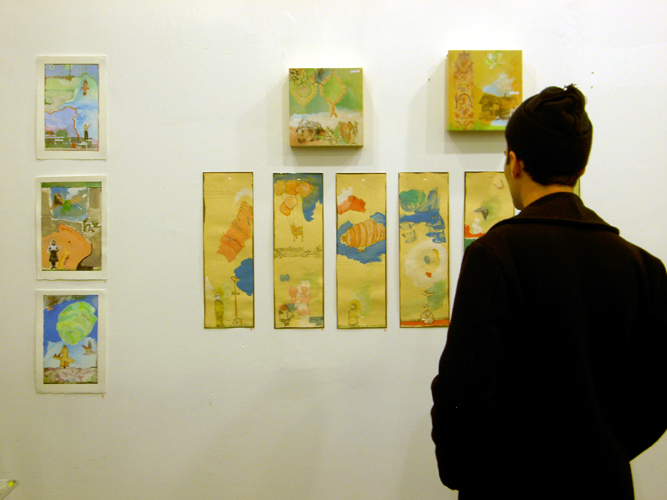 EC: How do you see the Provo Gallery Stroll evolving in the future? RN: Get other venues involved, recruiting to fill a lot of vacancies downtown. For anyone who wanted to start a business this is the perfect opportunity. Cheap real estate available right here in Downtown. With the demise of Pierpont, Sugar House and cultural neighborhoods of Salt Lake we have an opportunity to step in and fill some of that niche. We want to see families, the whole community to come out and be exposed to new art, new kinds of art, break the stigma-stagnant art and be exposed to new cutting-edge contemporary art. We want to bring in the best shows and the best art. I want to bring new life into the project, bring a contemporary edge to it, elevate the level of art being shown and bring the people of the community in to create a better understanding of contemporary art. Drilling for Oil by the Spiral Jetty?